Consider the sketch below. As you see, I have a box with a mesh. Inside this box, there's also a circle. 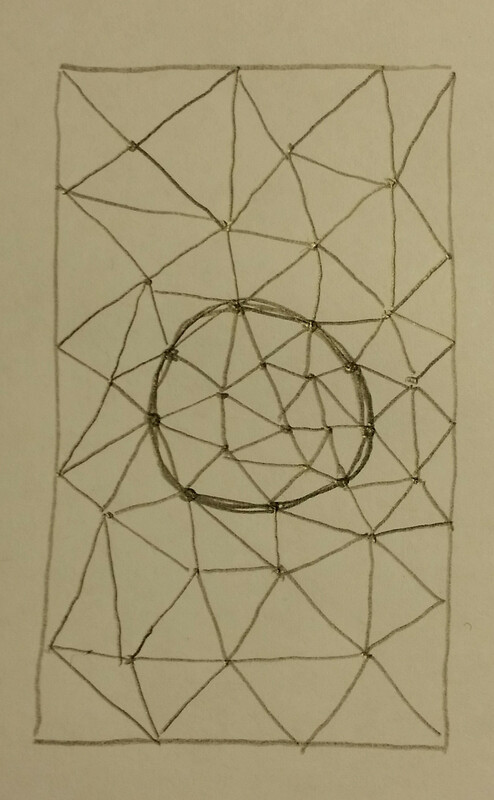 This is sort of an "internal boundary" and I would like that some nodes exactly stick on the circle and the edges between "inner" and "outer" elements approximate the circle shape as good as possible. In real world, the circle could be a way more complex structure, and there could even be inner-inner surfaces. Does this task have a "name" (to facilitate internet searches)? Is it a task that every reasonable mesher can handle or do I need something special? Or do you recommend something different? What you mention is common, at least in my field. What you need to consider is the definition of the regions. The inside region is defined by one contour/loop: the circle. The outer region is defined by two contours/loops: the square and the circle. There are different ways of representing these. One of them is BRep. Besides the softwares pointed-at in other answers, if you are working in 2D, then Shewchuk's triangle software  can do the job. If you are working in 3D, then Si's tetgen software  has this functionality. To optimize the mesh (2D or 3D), you can use the MMGTools suite ,. My own software GEOGRAM  also has some mesh optimization functionalities. 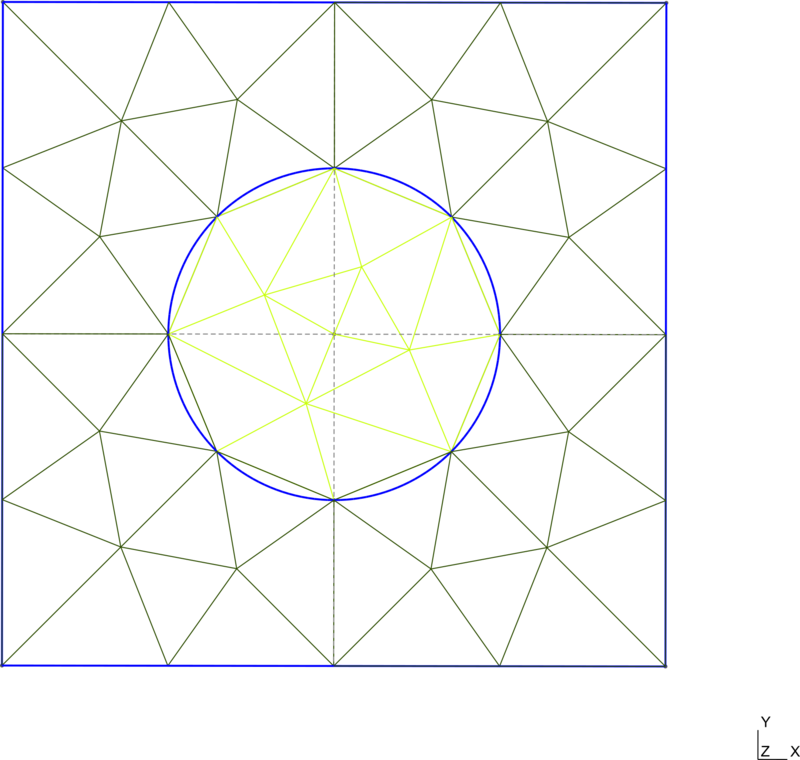 Meshing a geometry with an "internal region" is not an operation that all meshers can perform. Some allow you to specify one or more internal regions but then automatically assume these are holes. I have not seen a gmsh example like you show but am not certain it cannot create such a mesh. has an example that is very similar to yours. If you install Netgen 6.1, load the small geometry example, netgen6.1/share/netgen/squarecircle.in2d, and then push the "Generate Mesh" button in the GUI, you will get a mesh very similar to the one you show above. This mesh can be written to a file in a variety of formats including gmsh. If you have the resources to obtain a license, Cubit from Sandia National Labs has this capability. I have used it often in the past to generate many meshes like the one in your example.